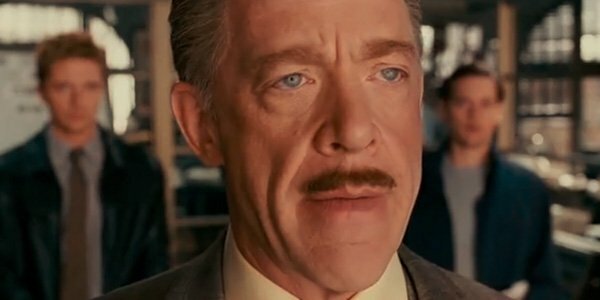 Throughout Sam Raimi’s Spider-Man trilogy, one of the most consistently reliable aspects of the entire franchise came in the form of J.K. Simmons’ role as J. Jonah Jameson. His portrayal of the character has remained so beloved in recent years that fans have actually begun a petition for him to return in the upcoming rebooted Spider-Man film starring Tom Holland. Despite our overwhelming enthusiasm for such a return, Simmons himself doesn’t have much faith in the petition. That petition does not come from anybody that is in a position to do anything about it. The man’s a realist. A fan petition can show a great deal of interest in him returning to the role in the rebooted Spider-Man franchise, but at the end of the day it’s a call that the heads of Marvel Studios and Sony will have to make. J.K. Simmons' take on J. Jonah Jameson has become iconic in the decade since we last saw him chomping cigars and screaming at the employees in his newsroom, and it's a role we can't even imagine anyone else stepping into. Even Marc Webb’s The Amazing Spider-Man franchise opted to not even touch the character because J.K. Simmons had so firmly left his mark on the role. The only glimpse audiences received of the character's existence came in the form of a somewhat scathing email sent to Andrew Garfield’s Peter Parker. Doing those movies with Sam was one of the great joys of my career, and it was a super fun character...so I'll never close the door on anything. If Ryan Reynolds can return to the role of Wade Wilson in a brand new Deadpool continuity, then we think it’s fair to say that J.K. Simmons deserves a chance to reprise his most iconic role in the MCU. Whether or not this actually occurs before the Spider-Man reboot hits theaters in 2017 remains to be seen, but our fingers remain permanently crossed for it to go down.